Last night, as Chelsea got back to winning ways against Tottenham Hotspur, Maurizio Sarri showed that perhaps, just perhaps, there is a Plan B on the horizon. 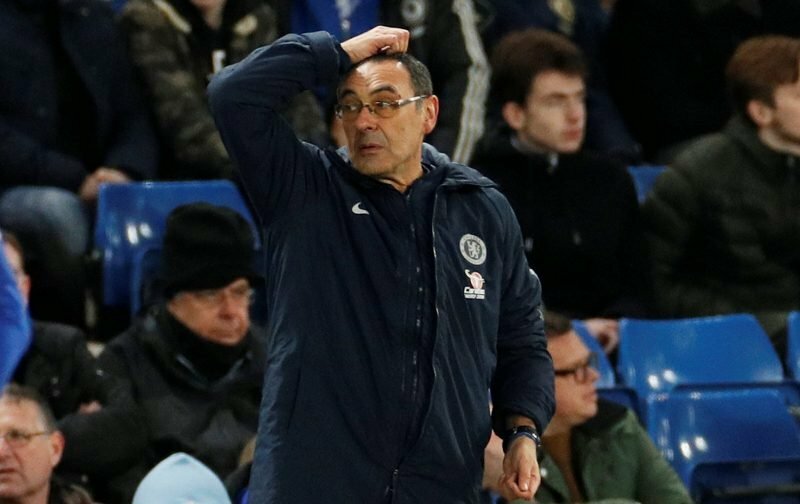 Having upset the Stamford Bridge crowd, once too often, in the FA Cup fixture against Manchester United, whereby the home support berated his trademark substitutions, replacing like for like, Sarri, in the last two games, has shown a degree of flexibility has crept into his management style. Now whether the Italian took a long hard look in the mirror and worked it out himself or whether the barracking from his own supporters hit a raw nerve, we may never know. But, last night, Sarri, when it came to the time to make changes, introduced Ruben Loftus-Cheek in place of Mateo Kovacic and, later on, Willian was introduced in place of Eden Hazard, although that change did raise a few eyebrows considering Chelsea were only leading 1-0 at the time, with many wary that if Tottenham grabbed an equaliser we’d removed the one person capable of grabbing goal out of nothing. Hopefully, this trend of opting for a Plan B when Plan A is struggling, could become common place. Yeah . Someone is learning. Adaptation is key to virtually everything these dsys . D unflexible ones eventually fall n break.